All Stow residents must license their bike with the Police Department if planning to ride on the street, sidewalk or bike path. Parents are responsible to ensure that their children obey bicycle laws. No one may remove a bicycle sticker unless they sell that bike. Lost bikes found by the Police Dept. are sold after 3 months. Night time riding requires a front and rear reflector, a headlight and a taillight able to be clearly seen from a minimum distance of 500 feet. When you purchase your bicycle it comes with a serial number engraved on it. That number might be registered with the bike shop or manufacturer, but it is not automatically registered with the police department. When you provide the serial number and other required information below the police can positively identify the owner and return the bicycle to them. 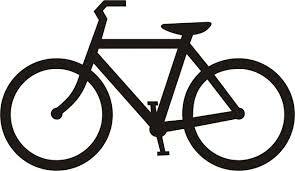 Without a serial number, the bicycle cannot be distinguished from thousands of others identical to it. Please complete the form below, double-checking that you have written down the exact serial number (the most important item). You can submit the information to the Stow Police Department Records Division, Monday through Friday, 8:00 am – 4:00 pm (holidays excluded), or by mail. If you return it by mail, please include a self-addressed, stamped envelope. The registration sticker will be mailed to you. There is no cost to register your bicycle. The most common place to find a serial number is on the underside of the bicycle frame on the pedal crankcase. The second most common is on the front fork portion of the frame. If you have any problems locating the serial number, bring your bicycle to the Stow Police Department when you register it. The following rules are from the Stow Codified Ordinance, Chapter 373, governing the ownership and use of bicycles in the City of Stow.They are not suggestions – they are the law! Ride only one person on a regular bicycle seat facing forward; not on handlebars. Ride with at least one hand on the hand grips at all times, do not hold packages. Ride one person to a bike unless it is designed for more passengers. Ride not more than 2 abreast in a single lane. Bicycles are vehicles like cars, follow all traffic rules. Ride to the right side of the roadway. Ride a bike path adjacent to a roadway, if one is provided. Lock bicycles left on public property away from home. Exercise safety; wear a helmet and give the right-of-way to pedestrians on sidewalks. DO NOT try trick riding on public streets or sidewalks. Safe riding is best learned at a bicycle rodeo. Use hand signals to indicate a turn, slowing or stopping of a bicycle.